Owing to the soothing ambience and unmatched beauty Coorgis famous as the ‘Kashmir of South’. Amid the lush greenery of the Western Ghats, this southern hill station is nothing short of a paradise for tourists. Taking the same into account, we have crafted a 2 nights and 3 days Coorg Holiday Package, which makes you explore the natural exquisiteness of the place. Right from booking a comfy hotel, to taking you to different tourist destinations, to ensuring the health of your pocket, we take care of everything. Upon arrival at Coimbatore railway station, meet our representative and drive straight to Coorg. On reaching, check into a hotel. For the rest of the day you are free for leisure. Overnight stay at the hotel. After breakfast full day city tour of Coorg, visit Dubare Elephant Camp, a forest camp on the banks of the River Kaveri where bathing and feeding of the elephants are done. Dubare elephant camp in Coorg is the perfect destination to enjoy Elephant rides and bird watching. 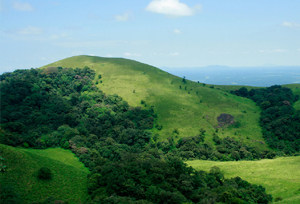 In afternoon visit to Talacauveri, which is situated in the picturesque location of Brahmagiri hills. It is the origin of River Kaveri and a beautiful Talacauvery Temple built around it. Later, climb Brahmagiri peak and then pay a visit to Bhagamandala. Bhagamandala is famous for the confluence of the three sacred rivers, Kaveri, Sujyothi and Kanike. You can also visit to the temple dedicated to Bhagandeshwara (Lord Shiva) and get the blessings. Return to the hotel by evening for overnight stay. After breakfast drive to Coimbatore. On arrival at Coimbatore, transfer to railway station for your onward destination.